Stock # W8086, 3.5L V6 Cylinder Engine, Automatic, 16038 mi. 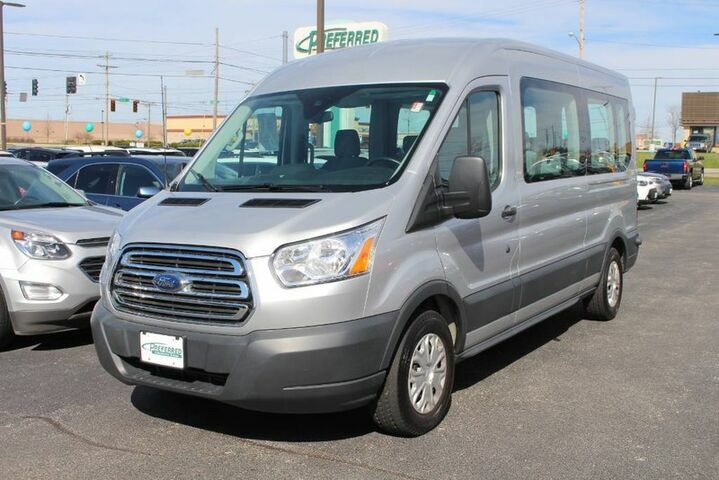 You can find this 2016 Ford Transit Wagon XLT and many others like it at Preferred Auto Illinois Road. A Ford with as few miles as this one is a rare find. This Transit Wagon XLT was gently driven and it shows. Ford has always been a leader in the realm of versatile commercial vehicles, and the Transit is poised to carry that tradition far into the future. In fact, like the E-Series vans before it, the Transit has few rivals. The Transit is sure to satisfy the needs of anyone in the market for a full-size, do-anything, carry-everyone van. Interesting features of this model are impressive capacity, competent and efficient engine.